2 MORE SPOTS LEFT! 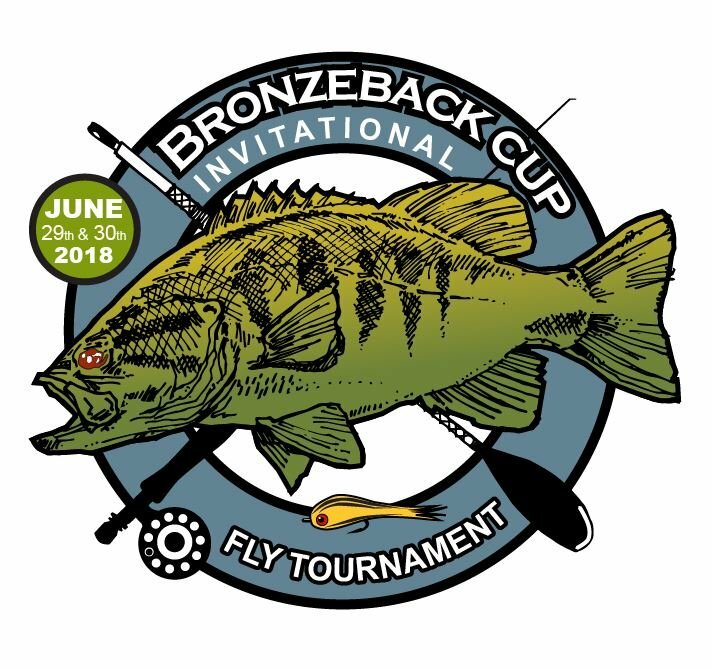 Deadline to enter will be June 1st... Smallmouth Fly Tournament held near Chicago, Illinois. Tournament will be open to teams of three with a boat. Entry Fee is $375.00 per team/boat. Great prizes from Nautilis Reels, Scientific Anglers, Full Day Guided Trip with MWACo., TFO Rods, Stealthcraft Boats, and much more to be announced in the next week. All proceeds donated to The Coalition to Save the Menomonee River. 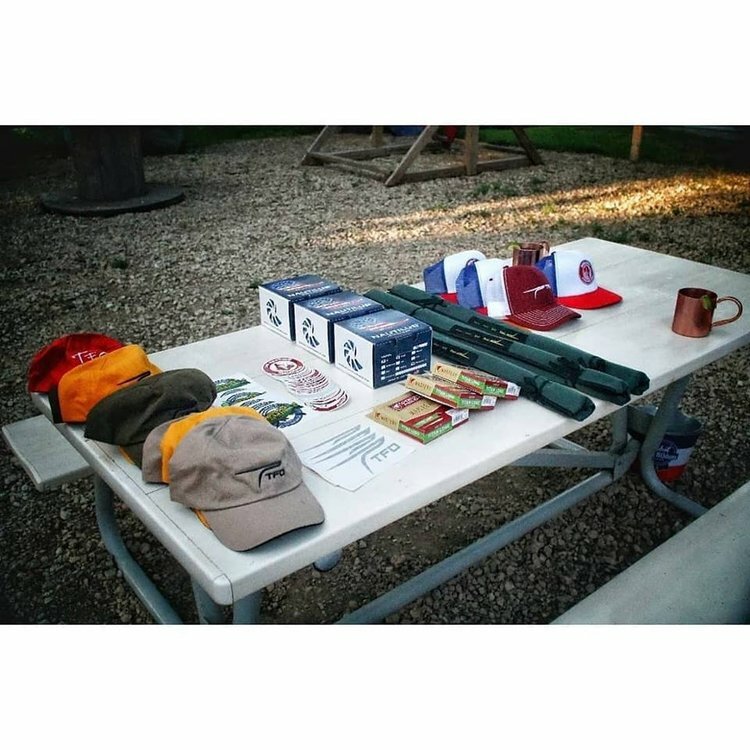 Every angler will receive a tournament shirt, SWAG bag, dinner and drinks Saturday night. 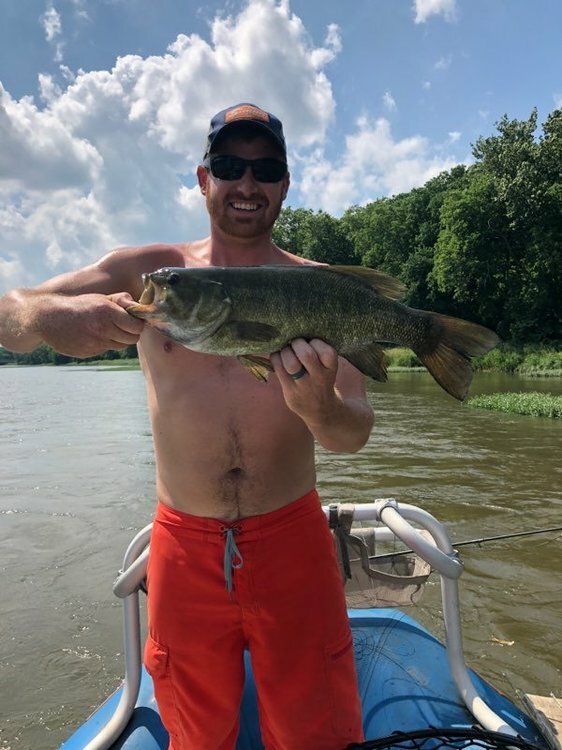 If you are interested in signing up please visit www.midwestwaters.com and fill out the sign up form. Much more details, rules, and locations coming soon! I’m looking for a team. Sounds fun. Tom Loo would rock this tourney from any river. No kayaks/canoes allowed takes me out of the equation..........................not sure the reason for this rule??????? Isn't that a paddle in their logo? Hmmm...I guess it's an oar. Drift boats OK and Yaks not OK? Seems odd. Gentlemen, it’s three man teams which would negate a kayak or canoe, that’s the reason. Drift boats, skiffs, rafts, John boats......craft that can legally hold and fish 3 anglers. Correct, Tom would Tom would Rock it! On your facebook page you told Dave P. that 2 anglers would be fine? Dave P has a 3 man boat, a drift boat to be exact. I also told him the entry fee is the same even if he only has 2 anglers. Looks super fun and I like your logo! Nice to see more local tournaments being hosted. The South Moon BBQ location for the headquarters is a nice idea. Steep entry fee, so should be neat to see who you attract and what the final scores (and prizes!) are. Eric, entry is not all that steep when you split it three ways. All the proceeds are going to a good cause, a resource many of the membership enjoys if I’m not mistaken. Yeah...that logo is very well done. Hot and sweaty is probably the best way to describe it. Our team, including ISA members Mark L and VanH fished the Kankakee in the morning and Dupe in the afternoon. We sheared off one of the three blades on my prop in our first run up river on the Kankakee and it pretty much doomed us for the day. Fishing was very difficult for everyone and all teams as I later learned . I think it was the heat. Most of the teams struggled fishing wise with some of the teams getting skunked. We caught 5 fish, two dinks, a 9 ", 11.5." and 13" for the day. Only a fish over 12" qualified so we had only one qualifying fish. 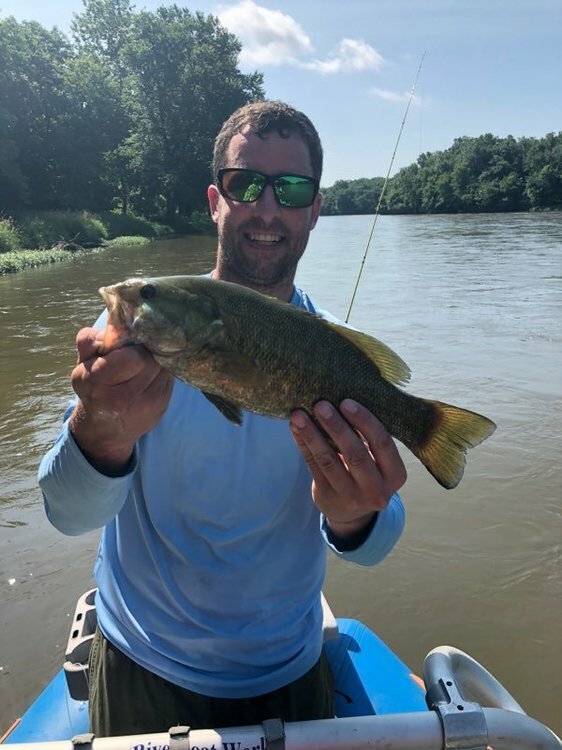 I caught a 1 lb rock bass on topwater on the Kankakee that was the biggest rock bass I've ever caught. VanH caught his 13" on the proverbial, "last cast of the day". The winning team, a brother group from Woodridge that floated the Kankakee in a raft and also caught the largest fish at 19.5" not sure what their team total was. The second place team was at 31" I believe so we weren't far out of the running if you counted all our fish!. The barbecue at the award presentation was delicious. Mike and Kurt put on a great event. Met a lot of great guys at the presentation and look forward to next year's event. Thanks for the recap Bart. That does sound like a tough one! Here’s a few pics from the tournament. I’d like to add we where able to raise $400 that will go to “The Coalition To Save The Menominee River” which really was the whole point of this event. Good barbecue, cold beer and a riverside view didn’t hurt either. Thank you Mike and Kurt for setting up this great tournament for a worthy cause. We had a fun day and really enjoyed meeting many fellow fly fishing junkies. As Bart said, it was an extremely hot day. Our team floated the Kankakee as well and the heat mixed with recovering water levels made for a real grind. 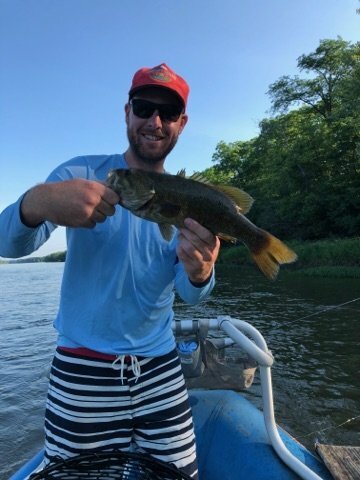 Overall, we did have a productive day as we boated 12 smallmouth between 11-19.5 inches and a bonus 30 inch buffalo carp that took my brothers 7wt for a fun ride. 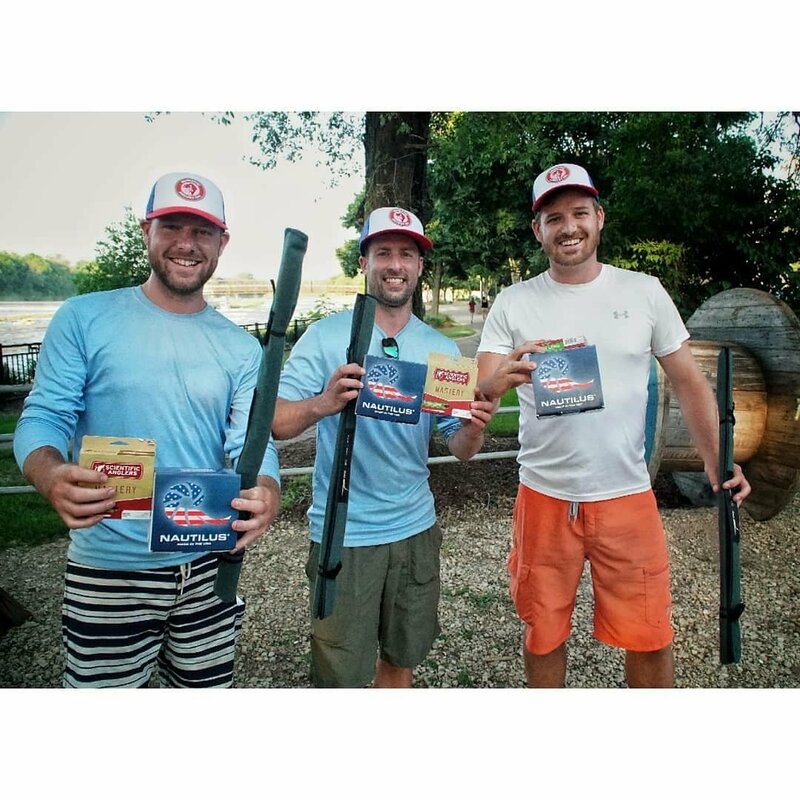 Our top five smallies were three 16's, a 17 and 19.5. The recipe that seemed to work best for us this day was go big, slow and move some water. 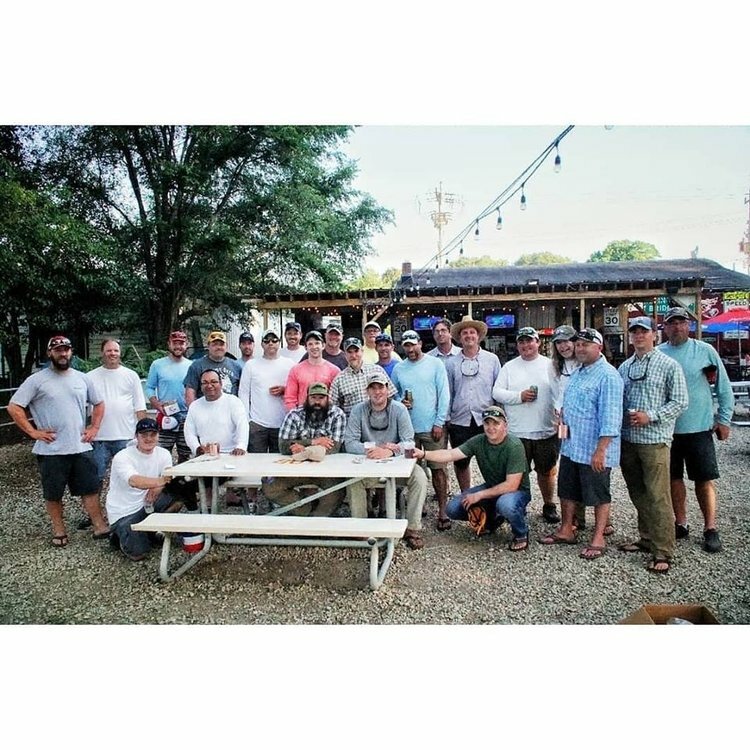 Can't wait to participate again next year and see you all out on the water! Interests:My daughters, hockey, photography, herpetology, hiking. Don't forget the sunscreen Zack!